A gilded Louis Quinze gueridon mirror crowned with a phoenix holding a flower branch in its beak. The mirror is fitted with a single candle holder. By placing a candle here, the light could be reflected back into the room enhancing the effect of the candle and creating the illusion of multiple candles. 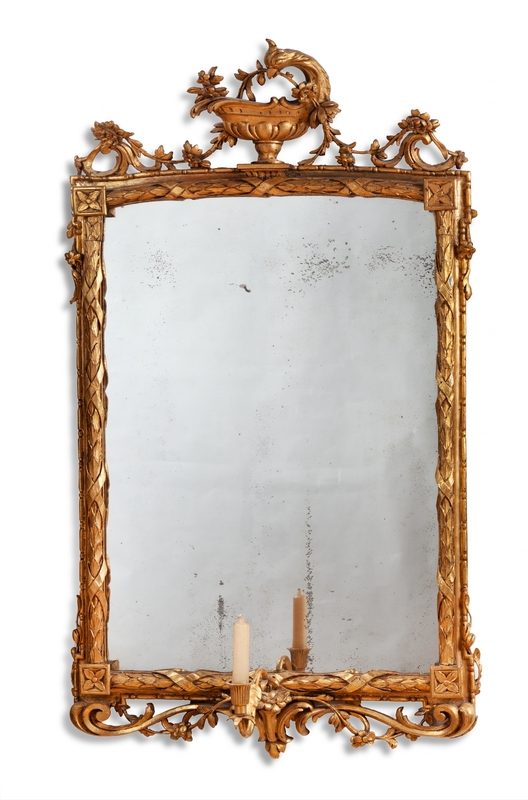 The mirror frame is finely carved and in the corners decorated with rosettes.